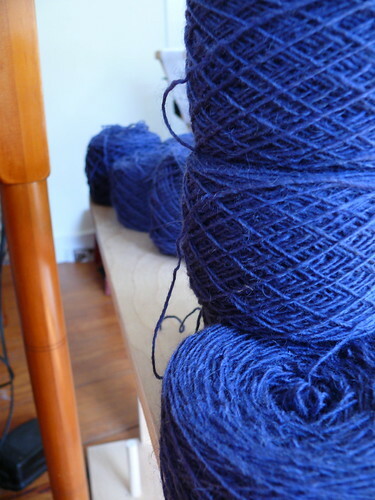 It seems like this project has taken ages; why does it sometimes feel like trudging through mud in a heavy pair of boots with certain projects? 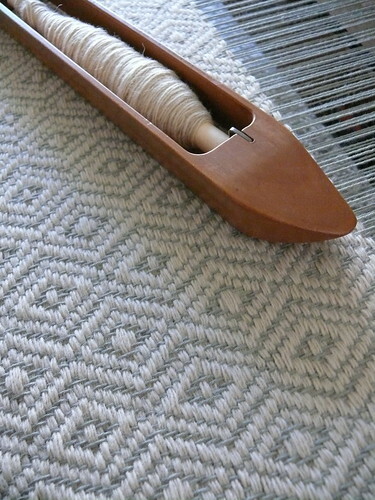 It's not like I've been avoiding the rugs, it just seems that I've hit snags along the way (running out of warp yarn, for example) that have slowed the whole process down, plus all those other pesky details of everyday life keep interfering: taxes, housework, my other job, a social life, etc. Hopefully I'm on track now and will be cranking these out for the next couple of weeks. 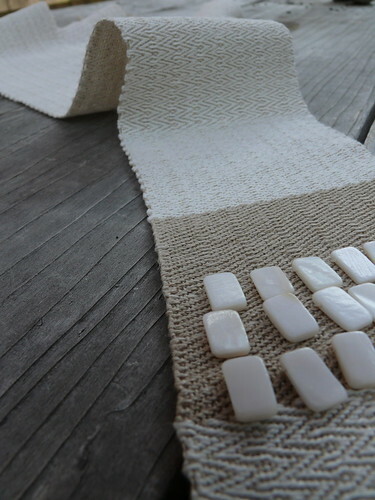 These rugs are being woven from the wool gathered from the sheep that are kept by the Nantucket Conservation Foundation. 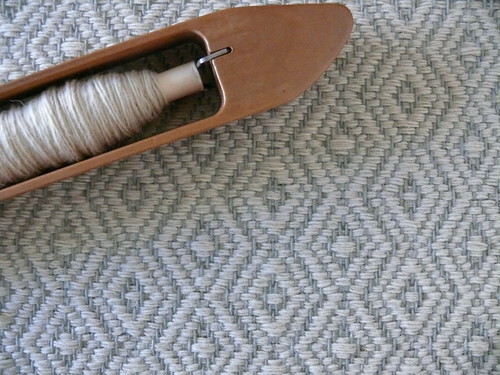 So far I have completed the sage green and cream rugs and now I'm on to white and blue. The green and cream were woven on 8 harnesses in a diamond twill pattern, this next batch will be on 4 harnesses also in a diamond twill. 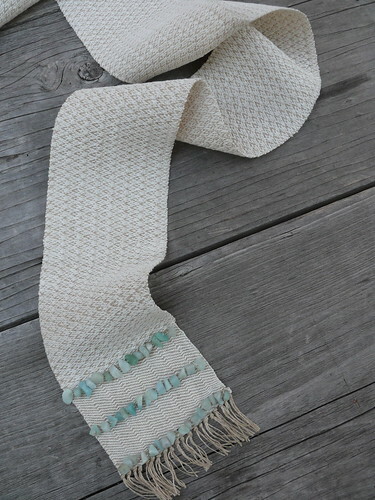 I've also finished and photographed the linen scarves, these will be posted on Etsy sometime this week. 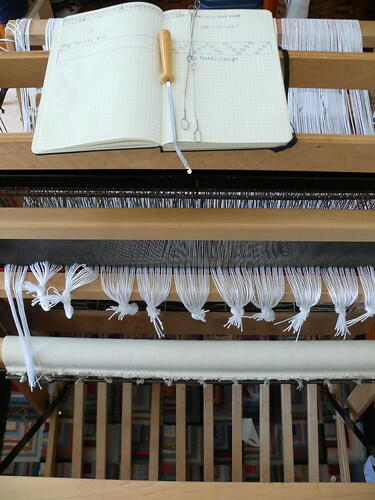 I experimented with beads in the weft, and I like the results.